It has been two years, since LucasFilm announced the end of Star Wars: The Clone Wars and that they would release "bonus content." In that aftermath of this decision, the #SaveTheCloneWars website, Facebook page and twitter account were established on March 14, 2013. 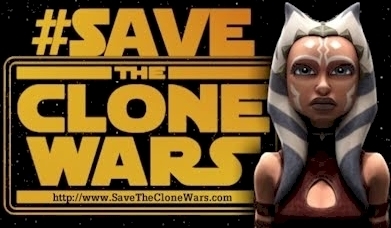 Thanks again the thousands Clone Wars fans who have supported the campaign. The Facebook page has over 10,000 likes, and twitter account.has over 2,300 followers. In the last two years, we have gotten a lot content, from this cancelled animated series. 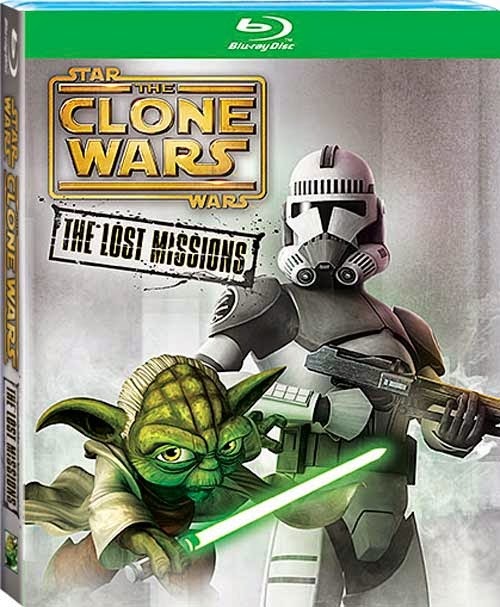 After almost a year of waiting, in March 2014, Star Wars: The Clone Wars "The Lost Missions" which consisted of thirteen fully animated episodes, were initially released on Netflix. "The Lost Missions" were later released on DVD and Blu-ray, on November 11, 2014. From May to August of 2014, the four issues of Star Wars: Darth Maul: Son of Dathomir comic were released. These comics were adaptation of unfinished episodes of Star Wars: The Clone Wars. The trade paperback collection of the Star Wars: Darth Maul: Son of Dathomir was released on October 1, 2014. In September of 2014, the The Clone Wars Legacy was announced, and four The Crystal Crisis on Utapau Story Reels were released at Star Wars.com. These story reels were later released a bonus feature on the DVD and Blu-ray releases of "The Lost Missions." 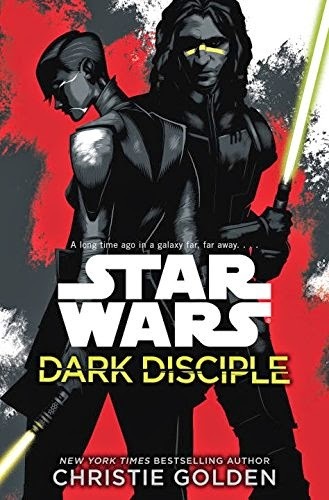 Dark Disciple, the Asajj Ventress & Quinlan Vos novel, written by Christie Golden, is based on unfinished episodes of Star Wars: The Clone Wars. The novel is available for pre-order at Amazon, and it is scheduled for release by Del Rey on July 7, 2015 in the U.S.
What is the future of Star Wars: The Clone Wars and its characters? Clone Wars writer Brent Friedman took to Twitter in May 2014. We covered the tweets in the article, "Brent Friedman Shares Details on Clone Wars Seasons 6 to 8." Recently, mentions of the four episode story arc entitled "The Bad Batch" that would feature the return of Clone Trooper Echo have popped up again. For more info, check out the Star Wars Underworld article. As recently, as yesterday's episode of Rebel Force Radio, information continues to come out about the unfinished episodes from season six and seven. Filoni mentions two Clone Wars arcs that were shot that feature Ahsoka's continued story, and he mentions showing these arcs to his Rebels team. When asked if more episodes of The Clone Wars would be released, he said that, if so, it would be like the Utapau story reels. He also reveals, in the interview, that there will be "very exciting Clone Wars things" at Star Wars Celebration that is "all motivated by the fans staying so persistent." Perhaps, some of these unfinished episodes will be shown at Celebration, or perhaps, an announcement will be made about a future release at StarWars.com. In addition to these stories, a very popular Clone Wars character returned at the end of season one of Star Wars Rebels, and although the character design is quite different, Ahsoka Lives! Recently, Dave Filoni talked with USA Today about Ahsoka. In the article "A Jedi returns in 'Star Wars Rebels' finale" Brian Truitt wrote, "When Clone Wars ended last year, Filoni still had 12 episodes of stories that explored Ahsoka's history and what happened to her after leaving the Jedi order when she was around age 16 — many of them were worked on with George Lucas while he was still heavily involved in the Star Wars universe." In an interview with Eric Goldman from IGN, Filoni also recently stated the following. There are still stories to be told, and Dave Filoni wants to tell them. Let's continue to let Disney and LucasFilm know that there is an interest and a demand for these stories! 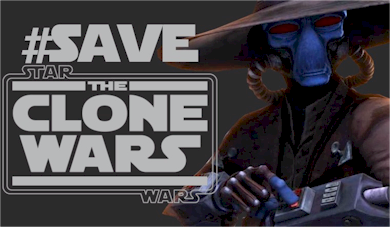 Also, thanks once again to Jimmy Mac from Rebel Force Radio for sounding the alarm and being the first to encourage Clone Wars fans to contact Disney and LucasFilm and ask them to #SaveTheCloneWars.